Welcome to House Calls Maintenance, a full-service home remodeling and maintenance company serving the greater Sarasota and Manatee county area since 2004. 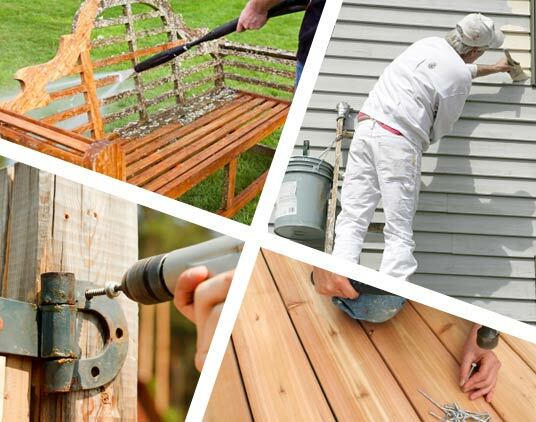 Whether you are looking for a home remodeling contractor, need a full service maintenance company for your investment or commercial property, require some home repair work, or just need a handyman for that small repair job, House Calls Maintenance is a one-stop center for all of your needs. Our staff is fully licensed, insured, professional and polite. Our quality workmanship is evident by our numerous satisfied clients. We are convenient and reliable, providing a fair price and ensuring that the project is done on time and on budget. Our extended network of contractors and qualified professionals ensures that, no matter how big or how small the task might be, we have the abilities to either do the work right or find you the professional who can. As a fully insured and licensed maintenance company serving commercial properties and property management companies, we are experts in providing a variety of services that every property management company needs. Whether you need drywall repair, pressure washing, property clean-up, water damage repair, plumbing or mold remediation, you’ll be glad that you have our number in your address book! Our scheduled maintenance service handles many routine needs, such as A/C filter replacement and coil cleaning, plumbing inspection and repair, roofing inspection and repair, gutter cleaning and mold inspections. And if you need other services due to damage from tenants or from normal wear and tear, we can take care of this as well. Home remodeling is a broad subject covering many areas, including kitchen remodels, bathroom remodels, and many other areas of the home. Regardless of the area you are looking to improve, and regardless of whether your improvement is aimed at pleasing you or for an eventual sale, we are your solution. Our home remodeling contractors specialize in providing you with relevant, sage advice on home remodeling ideas, techniques, and strategy to match your goals. We can assist you in gaining top dollar for the eventual sale of your home or condo. It is often the case where a home or condo owner needs some simple home repair, and is either unable to do the work or unwilling, due to time constrictions. However, a contractor can be a costly solution. Wouldn’t it be nice if you could find a professional handyman to do your home repair job without the high costs involved with a contractor? Look no further. House Calls Maintenance can handle all of your handyman needs in a professional and courteous manner. Our professionals are experts in providing only the work needed to alleviate your stress and headache, all the while carefully explaining the problem and the proposed solutions. We are always professional: no shirtless workers, no loud music, and, most of all, no clean-up afterwards, as we leave your home as clean as when we entered. If you would like to learn more about House Calls Maintenance and what we can do for you, feel free to check out this website or give us a call at the number provided here. We’ll be happy to answer any questions you have, either over the phone or at your location. "Thank you so much for the wonderful services you provided to us the other day!! We will definitely call again. Moving into a new house, we needed various small (and big) jobs done and hated to call several different businesses for each type of job. House Calls Maintenance was able to handle each and every job: hanging light fixtures, installing dimmer switches, sanding down doors so they wouldn't touch the new carpet, cleaning the dryer vents, repairing baseboards, installing shower rods, and repairing closet doors. Victor even carefully placed all of the "jewels" on our daughters' two new bedroom chandeliers. We cannot say enough about how wonderful and affordable the services were and how professional and friendly all of the people working for you have been. Thank you!!" "I want to thank you and all the staff of Sarasota Management and Leasing and House Calls for the excellent service you provided over the past months in renovating, leasing and managing my house. When I look back and consider how challenging it was to have this done from Toronto I am truly amazed that you were able to coordinate everything so well." We are always looking for ways to help market our Home repair and remodeling services. Thumbtack is a good way for us to help advertise our expertise in painting, pressure washing, drywall repair, door/window repair and roofing. Check out our listing to learn even more about what we do! Your Dream Remodel made Easy! The Kitchen & Bath Remodel "Decision Pyramid"
Winter..the best time to evaluate your roof.